As you drive down Glencoe towards Loch Achtriochtan, you can’t help but notice the impressive rock architecture rising above you on both sides. 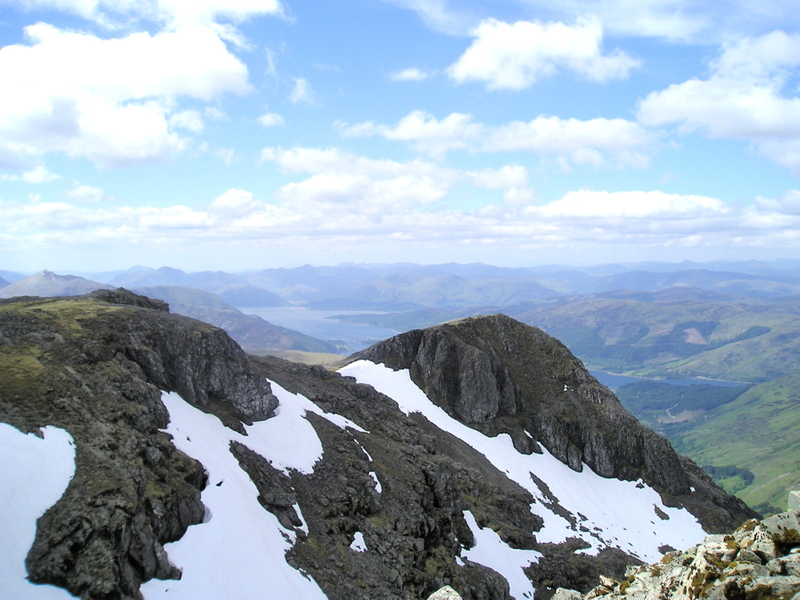 To the north lies the airy ridge of the Aonach Eagach (see post #52) and opposite lie the Three Sisters. 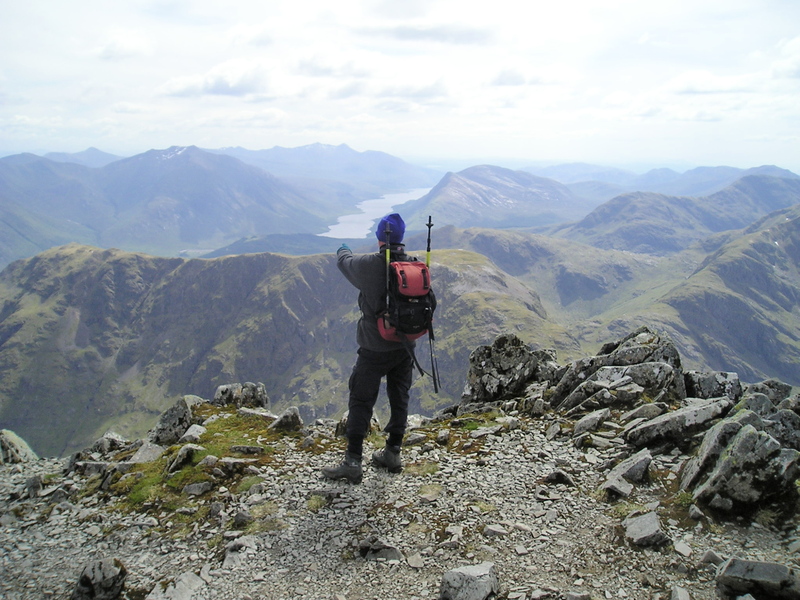 It’s clear that these are big hills but the one that you will not see is hidden from view by its neighbours – Bidean nam Bian, the highest peak in the old county of Argyll at 1,150 metres (3,773ft). Our recent house move has located us in a lovely spot in North Wales, with hills on the doorstep, and the mountains of Snowdonia just down the road, less than an hour away. 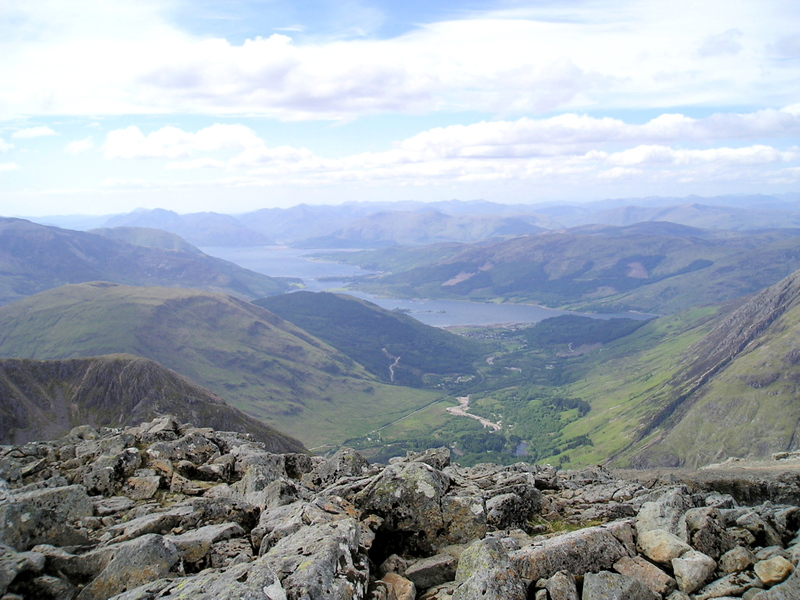 A price had to be paid, though – the business of moving meant that a planned trip to the Northwest Highlands of Scotland had to be cancelled. As a consolation prize, I retrieved this outing from the archives, from May 2008. It was difficult trying to gauge the size or angle of the slope from a distance, but it soon became apparent from watching the route that all the small ‘ant-like’ figures that tried their hand on the slope had turned back. Bob and I applied several decades of mountain cunning and wisdom to the problem, and came up with the idea of a diversion. In fact, we spent so long debating the issue that another group listened in and pinched our idea before carrying out a crafty overtake – we carried on behind them up ground that gradually became steeper. A gap in a line of crags took us to the col between Bidean and Stob Coire nan Lochan, on what had originally been our intended descent route down the North East Ridge of Bidean. 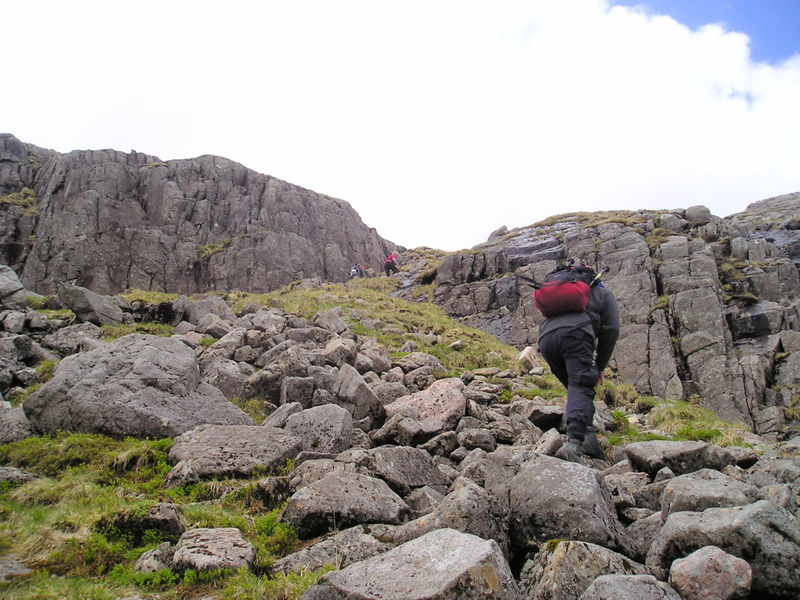 The North East Ridge was nicely rocky after the grassy route to the col, and we were soon on the summit of Bidean, which was remarkably quiet. The views were simply outstanding with a 360 degree panorama. 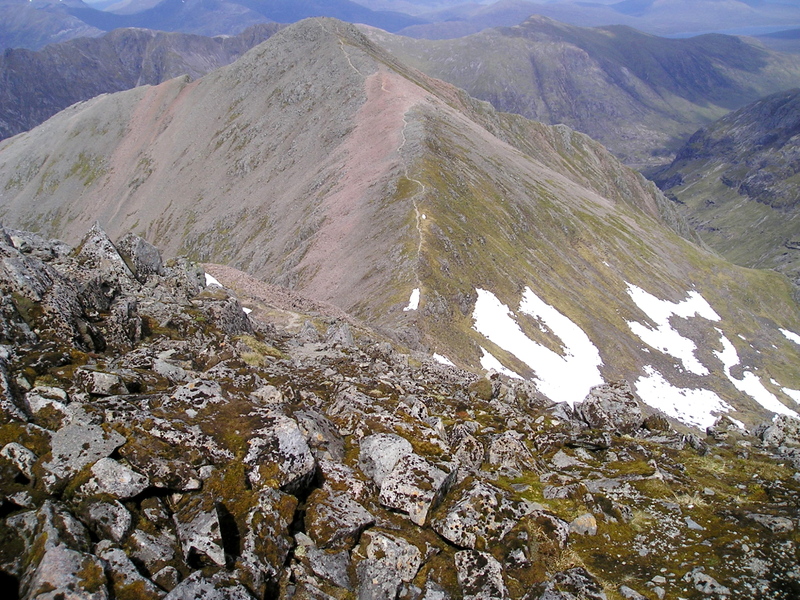 The author – Ben Nevis can be picked out, immediately to the right of the cairn in the far distance. After enjoying the view, and playing ‘spot the mountain’ it was time to head back. 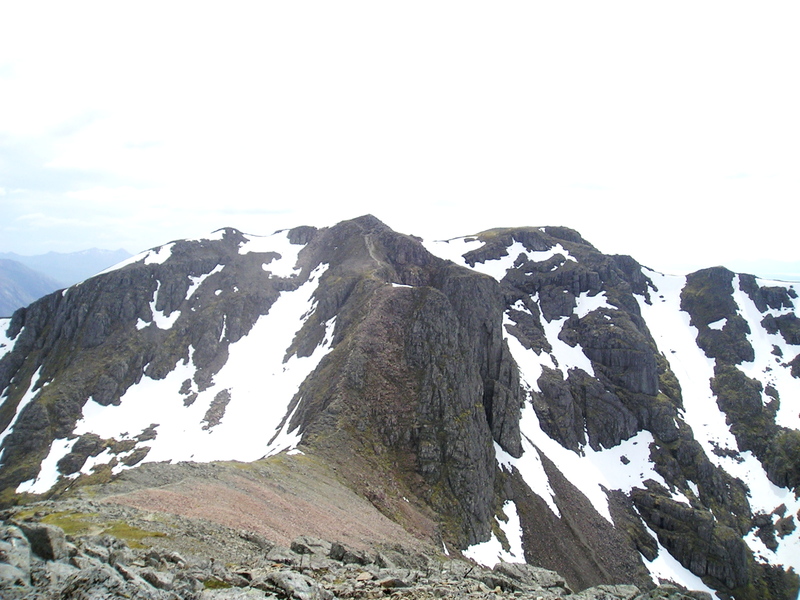 We reversed the North East Ridge down to the col, then carried on up again to Stob Coire nan Lochan. 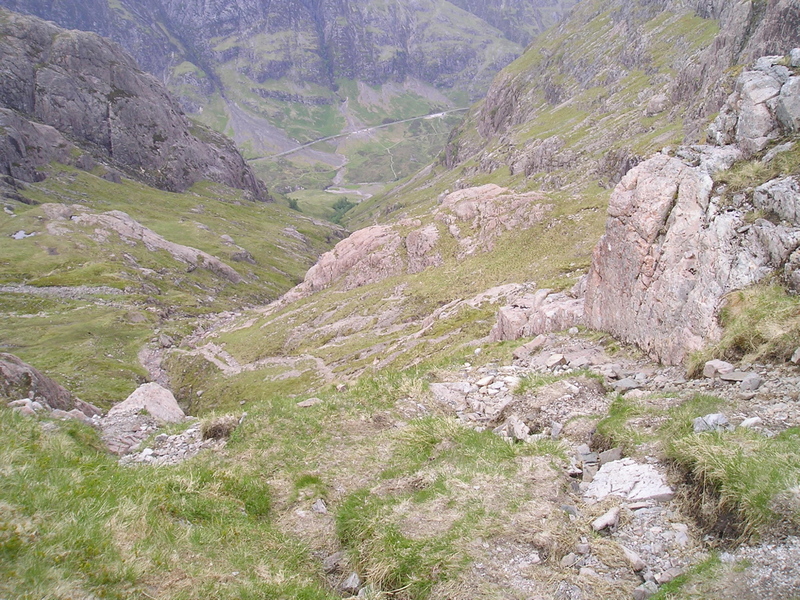 The route from there followed the top of the cliffs of South Buttress and Pinnacle Buttress. Just before Aonach Dubh we took a right turn to drop down into Coire nan Lochan, with the cliffs that had been below us now high above – the area isn’t much use to the rock climber, but in winter it is one of the best ice-climbing venues in Glencoe. From there we followed the path above the stream to head back down to the valley, passing an impressive waterfall on the way. Descents in the Highlands tend to be long, and frequently surprise newcomers, but being ‘old hands’ we made good progress back down to the valley. The strong winds that had been forecast didn’t materialise, but a stiff breeze kept the midges grounded. A night in the Clachaig Inn was a perfect end to a perfect day. This entry was posted in 1. 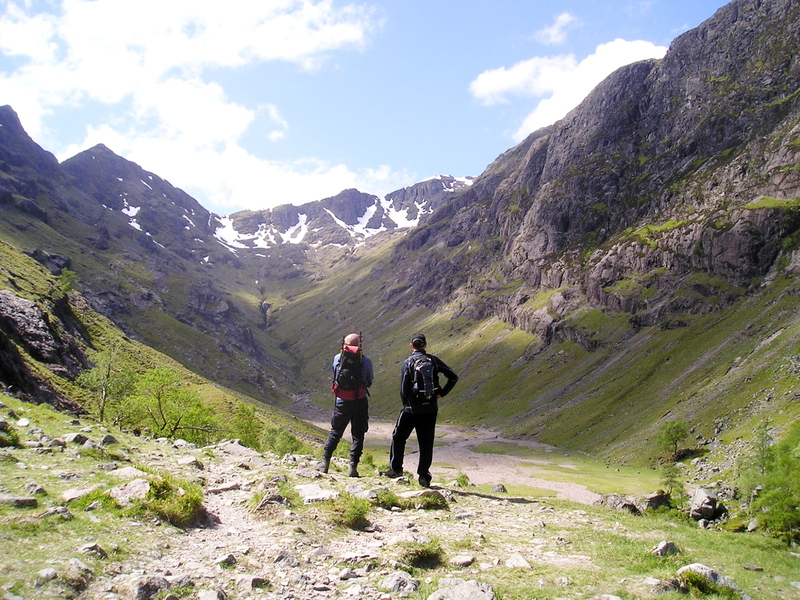 Scotland and tagged Glencoe, hillwalking, mountaineering, mountains, photography, waterfall. Bookmark the permalink. Just checked out your site – brilliant drawings! I was totally captivated by your ‘Hero’ post, a sad story! Paul glad you like it, thank you so much. Looking at all that dry weather, it just had to be from a different year, didn’t it?! Looked like a great day out. It was supposed to be blowing a hoolie that day, but it didn’t happen. We certainly didn’t expect that amount of snow remaining from the winter – it was less than a week to June! Too true Chrissie – I’m thinking of buying a snorkel! Some amazing pictures there Paul, looks like a hell of a climb. Thanks for the comment, Craig. 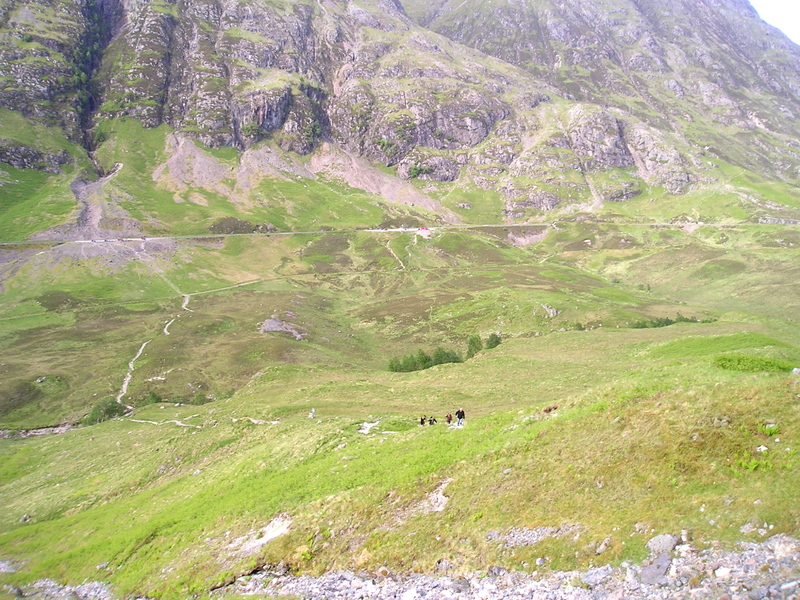 The route we took isn’t at all technically difficult, but being Scotland there was a lot of it!! Many years ago I went on a ‘whisky drinking expedition’ to Skye with 2 friends in my old Fiat car. It was novel because 3rd gear didn’t work and it had a cardboard floor so the passender couldn’t put their feet down (but that is another story). Anyway it cost me a tenner and a Jimi Hendrix autograph I happend to have so it was a bargain ??? 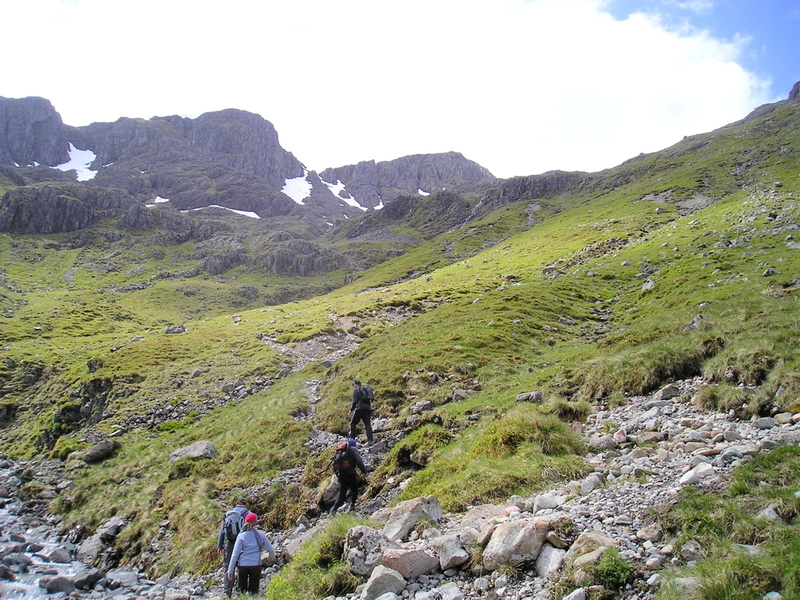 We passed through Glencoe on our way to Sligachan and I was gobsmacked..we climbed a couple of the smaller peaks – my mates weren’t really into climbing then, but I persuaded them. I don’t know what they were called or which ones they were but the view from the tops were stunning. I remember it being a crisp clear day and we hadn’t started with the whiskey then so I had a clear head. One place I will always remember – the journey too! As always, an excellent article and your pics are superb! Thanks for the kind words, SP. Some of our caving club had old vans converted to campers (AKA a mattress chucked in the back). The brakes on one of these were so ‘iffy’ that the passenger used to sit with a rock on his lap, and if the driver had to stop on a steep hill the passenger would dive out and shove the rock under one of the wheels. Those old car stories you two guys have are hilarious! 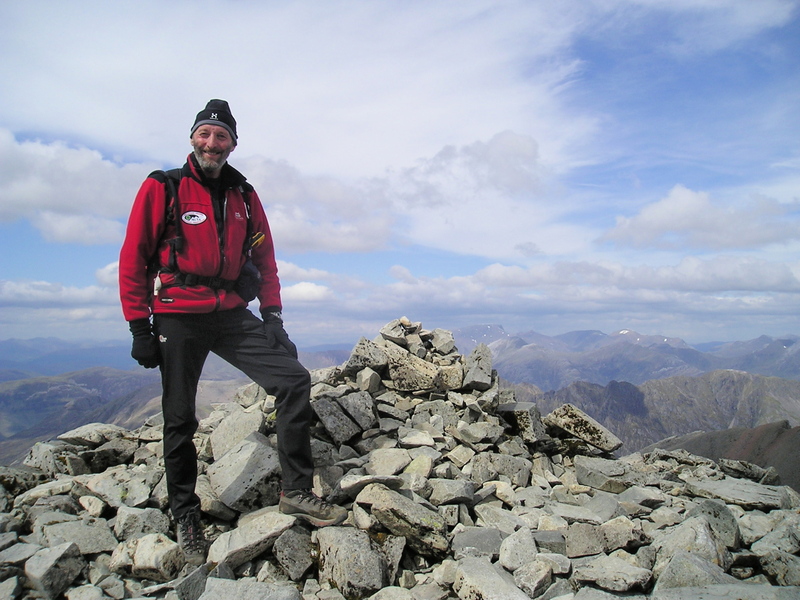 You can say that again about folks new to Munros and long descents – that was one of the first things I noticed when I started Munroing! 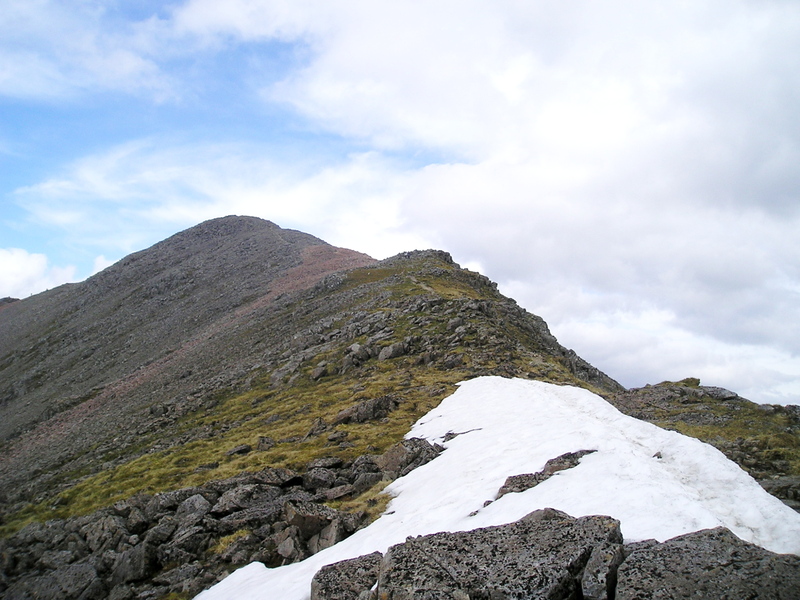 When you did the NE ridge onto/off the Bidean, did you do the actual arete/ridge or the scree path below it? 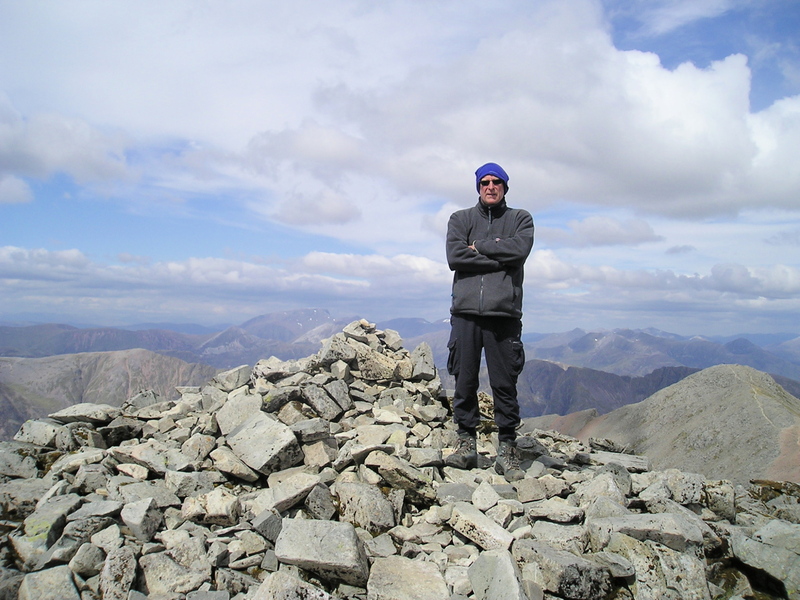 I descended the scree path and wasn’t keen and wondered about whether taking to the firmer rocks was better? Hi Carol – we took the rocky crest, which wasn’t really difficult enough to be a scramble and which didn’t (as I recall) have any feeling of exposure. 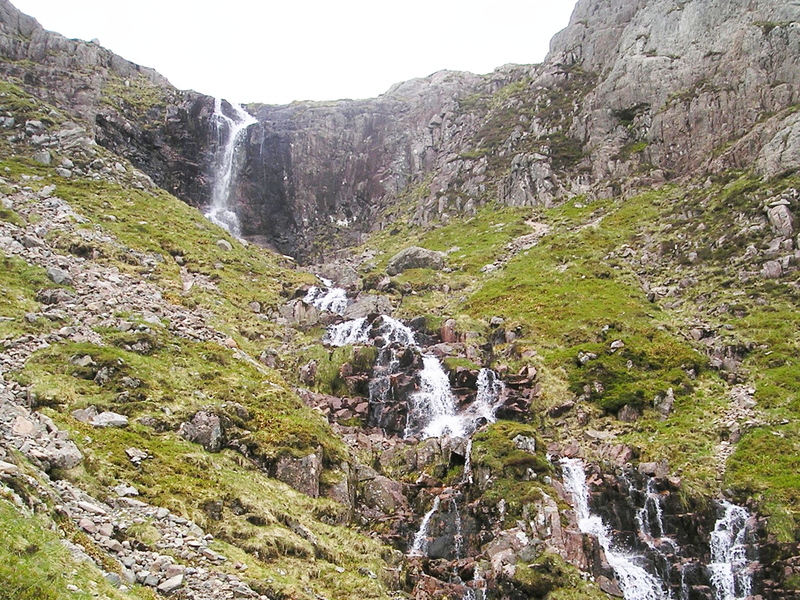 I seem to remember that we came down it at a fair lick, whereas the scree path might have needed more care. 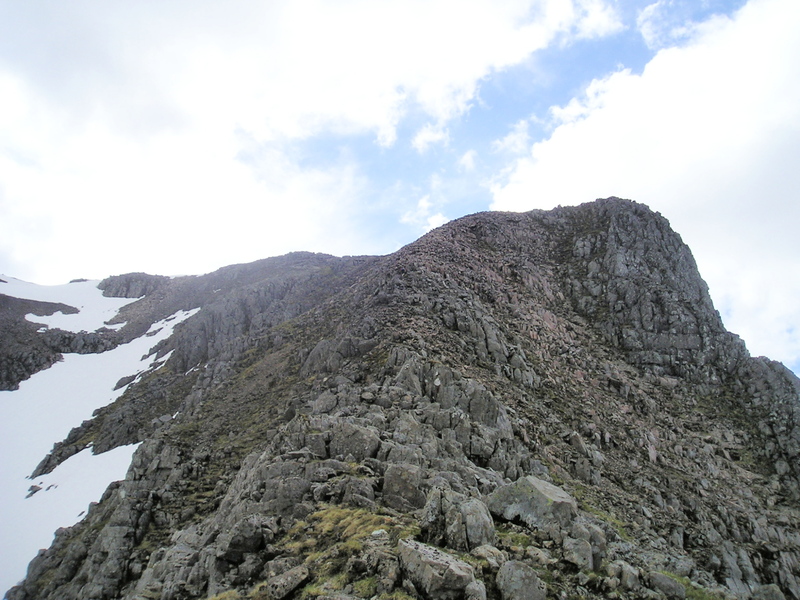 the scree path certainly did need care – I’ll try the direct ridge if I get up there again I think. 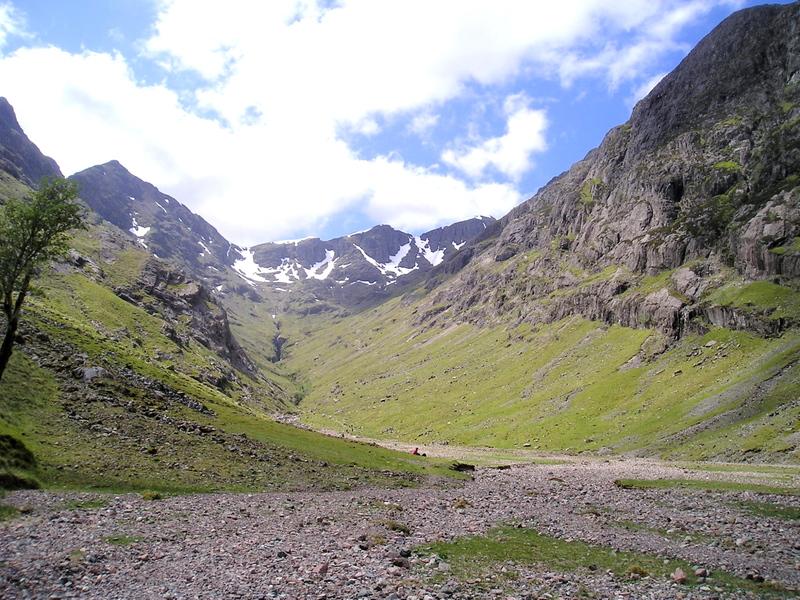 I’ve never climbed or walked in Glen Coe sadly. But I did some climbing on a Martin Moran run course a few years ago on the west coast. The feel of ‘wilderness’ was extraordinary. A great story, Paul. A classic indeed, snow or no snow! 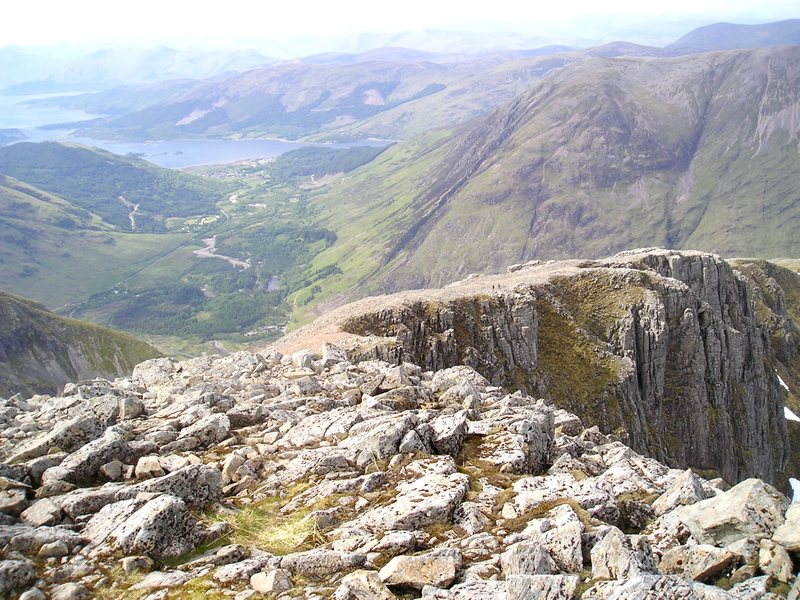 it’s a long time since I went up Bidean but it remains one of my favourites. 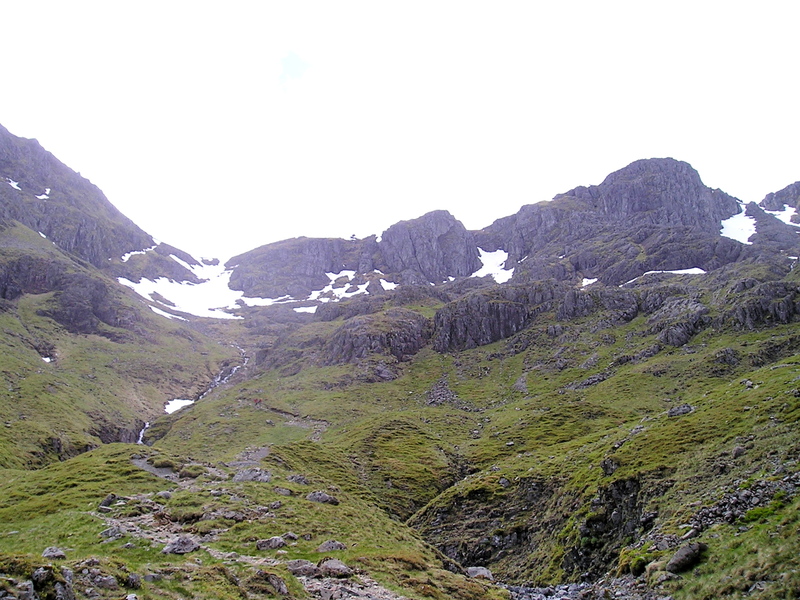 This makes me want to go back and repeat that route up past Ossian’s Cave and Stob Coire nan Lochan. Nice post Paul. Thanks for the kind words, Pete. Wow!! What a climb and so rewarding – I envy you the spectacular shots you got!! Thanks for the kind words Dina, but I don’t have your talent and ‘eye’ for a good image. However, Scotland is so magnificent that even average photographers like me can usually come away with something reasonable.